Wristband providers are experimenting with how to compete with smartwatches and take market share from the market leader, Fitbit. About 274.6 million wearable electronic devices will be sold worldwide in 2016, an increase of 18.4% from 232 million units in 2015. This is according to market analyst firm Gartner, which notes sales of wearable electronic devices will generate revenue of $28.7 billion in 2016. Of that, $11.5 billion will be from smartwatches. "From 2015 through 2017, smartwatch adoption will have 48% growth largely due to Apple popularising wearables as a lifestyle trend. Smartwatches have the greatest revenue potential among all wearables through 2019, reaching $17.5 billion," says Angela McIntyre, research director at Gartner. "Though sales of smartwatches are one of the strongest types of wearables, their adoption will remain much below sales of smartphones. For example, in 2016 more than 374 million smartphones will sell in mature market countries and in large urban areas of emerging market countries; for example, in Hong Kong and Singapore," she adds. Fitness wearables - which include wristbands, smart garments, chest straps, sports watches and other fitness monitors - continue to increase in popularity, driven in some part by wellness programmes. "Of all the fitness wearables, sports watches will be the one product category to maintain its average retail price over the next several years," says McIntyre. "Race runners, cyclists and divers will choose sports watches over smartwatches because the user interface, capabilities and durability are tailored to the needs of an athlete in their sport. Continued advances in sensors and analytics for sports watches will bring new capabilities that bolster average retail prices." Although the size of the worldwide wristband market was on par with the unit sales of smartwatches in 2015, looking forward, smartwatches will have stronger appeal with consumers as they typically have more multifunctional devices that can track exercise, Gartner notes. 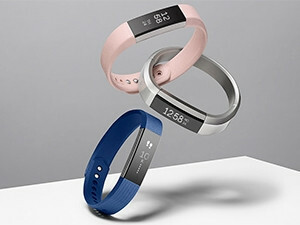 Wristband providers are experimenting with how to compete with smartwatches and take market share from the market leader, Fitbit. Examples of emerging value propositions for wristbands beyond fitness include mobile payments, access, safety, wellness and health, it adds. The firm believes head-mounted displays (HMDs) are an emerging market with origins as expensive military projects, and in 2016 the HMD market will progress toward mainstream adoption for consumers and enterprise use. "New virtual reality HMDs for consumers, such as the HTC Vive, Oculus Rift, Sony PlayStation VR, and Microsoft HoloLens are expected to be available along with video games and entertainment content, as well as business applications critical for their success," says Brian Blau, research director at Gartner. "Film producers and sports leagues will augment their traditional content through HMDs to enhance their customer experiences by creating interactive attractions, movies, and sporting events that make the content more personal and meaningful." Enterprise use of HMDs will also grow in the coming years, with 26% of HMDs designed for business use in 2018. HMDs will be purchased by businesses for use by employees for tasks such as equipment repair, inspections and maintenance. Workers will also use HMDs for viewing instructions and directions hands-free while they perform a task.